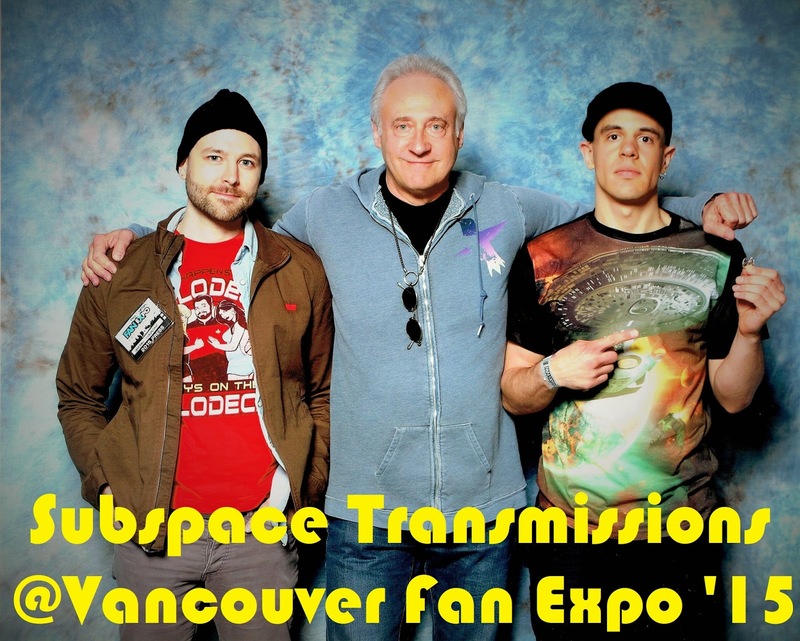 Subspace Transmissions: A Star Trek Podcast: BONUS EPISODE - "VANCOUVER FAN EXPO 2015 MEMORIES"
BONUS EPISODE - "VANCOUVER FAN EXPO 2015 MEMORIES"
In this special Easter weekend away team report, hosts Cam Smith and Tyler Orton breathlessly recount the many thrilling and unforgettable happenings that transpired at Vancouver Fan Expo 2015. How did William Shatner and Brent Spiner perform at their panels? Was there any cool Trek merch? And who, among such genre luminaries as Carrie Fisher and Lance Henriksen, brought the goods for the packed crowd? Only one way to find out, and that's by downloading this ultra exclusive mission log y'all! *Due to the complications of recording in a busy venue, there are some slight issues in terms of voice levels. Sorry for the inconvenience. Wanna appear on the show? Shoot us a 30 to 60-second audio clip telling us what some of your FAVORITE CONVENTION MEMORIES are and you could take the spotlight in an upcoming program! You can also send any other questions, topic ideas or feedback to subspacetransmissionspod@gmail.com!